ENDLESS POSSIBILITIES. Durable and natural: design sensibilities that are a must for any eco-friendly bathroom. 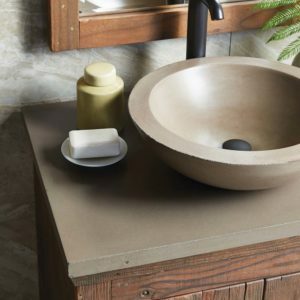 A diverse selection of bathroom vanity tops features natural materials known for their durability and versatility. Our vanity tops interchange easily to fit with each vanity base, and we provide multiple cut-out configurations to fit a variety of sinks. 30" | 36" | 48"
Available in 24", 30", & 36"